Victory Music is a non-profit musical-education organization in WA state, dedicated to reserving acoustic music performance. Founded in Bonney Lake, WA in 1969 by Chris Lunn, Victory Music is Victory Music is a non-profit, music-education organization based in Seattle, Washington. 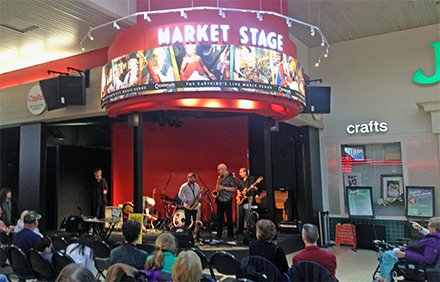 The organization was designed to connect and serve Northwest acoustic musicians, with the intention of providing quality open mics, craft-building workshops, and special outreach into the larger music community. Open mics: We host ALL-AGES open mics - three each week, plus two monthly venues. Each open mic venue has its own a unique flavor while providing you with a consistent on-stage experience. Click here for details. Quarterly showcases: We produce quarterly All-Star Reviews for each venue. These showcases feature selected performers from our regular open mics at that venue. The more we hear you the better your chance of getting on the bill! Workshops: Periodically, we conduct workshops to build your performance craft, develop your promotional skills, and understand your place in the Northwest music scene. These include workshops on how to run sound boards for acoustic venues, how to license your music to media, how to jam on traditional and cover songs, and how to develop your sets to brand your style of music. Volunteer opportunities: Gain stage skills as an MC, learn to produce shows working behind the scenes on the showcases, learn to promote events as part of our street team. Coming soon: We are planning to introduce video-taping services at selected open mic or showcase venues, where the performers come a way with videos they can use as feedback to improve their act, and also in their promotion. Commitment to local musicians since its inception in 1969. ​Published the Victory Review since 1974. Acoustic music reviews of CDs from the world over; columns and features on Northwest musicians. Submit reviews of gigs, CD's and music festivals. Learn how to MC, how to run sound, and how to meet and greet a wide variety of folks.